Do your rural or remote sites need high-speed internet connectivity? Are those needs short-term, or is rapid deployment a critical requirement? If so, we can offer a solution. Wireless broadband allows your rural sites and remote operations the same high-speed data connectivity that supports your centrally located offices. 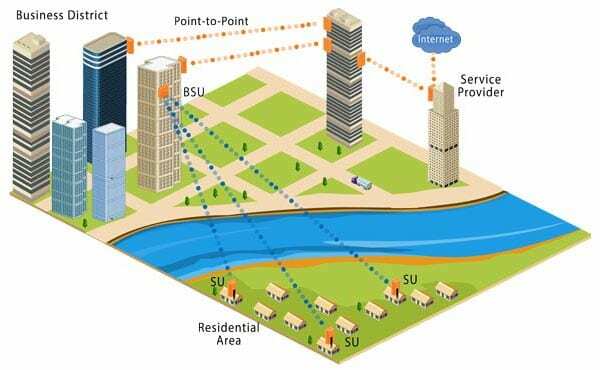 A microwave link can be established between your central location and a single rural office (called a Point to Point link) or to several remote sites (a Point to Multi-point link). With a wireless broadband solution, your remote operations are supported,24/7, by dedicated, secure connectivity that surpasses conventional Wi-Fi or LTE. Tridon’s wireless broadband solutions are supporting business needs across Alberta. If you’d like to discuss building one, contact us.